The Advisory Board consists of Alan Chai, Gary Hoover, Temp Keller, William Leake, and Arnie Weissmann. All members of the Advisory Board have invested in The Spark. Alan Chai is an investor and advisor to start-up companies. Prior to this, he was a managing director and co-portfolio manager for venture capital distribution management at Shott Capital Management, LLC. He previously served as an equity analyst specializing in venture-capital backed, Internet-related companies. 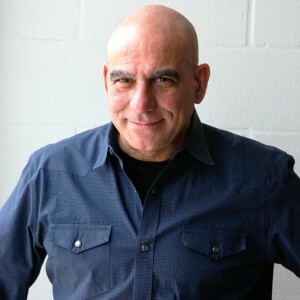 Before joining Shott, Alan was a Vice President and board member for Hoover’s Inc. where he edited “Cyberstocks -- An Investor’s Guide to Internet Companies". He has held management positions at both start-ups and established high-tech companies, including Hewlett Packard and Computer Associates, since the late 1970s. Alan has served on the Board of Directors of each company founded by Gary Hoover, whom he met in 1970 at the University of Chicago, where the two men began founding small enterprises. Alan received an AB in Economics from the University of Chicago. He holds MBA degrees from the University of Chicago (Finance and Marketing) and the Catholic University of Leuven, Belgium (International Business and Finance). He resides in Mill Valley, California. William Leake is the founder of Apogee Results, one of the nation’s top digital and search marketing firms, and an internationally known thought-leader on online marketing, demand generation, and search engine marketing and optimization. A published author (Wiley’s best selling “Complete B2B Online Marketing”) and patent-holder, Bill is a sought after consultant and speaker at national events. For the past two years, Bill led most marketing functions for the pre-IPO tech company Rimini Street, growing them from $68 million to a $125 million run-rate, and recently returned to Apogee. Prior to Rimini Street and Apogee Results, Bill held key positions in finance, sales, and marketing at Dell, Power Computing, Haystack Labs, and Journyx. He spent four years with McKinsey and Company, and holds a BA in Economics and History from Yale University and an MBA from the University of Texas at Austin. He resides in Austin, Texas and is the father of seven future Spark customers. 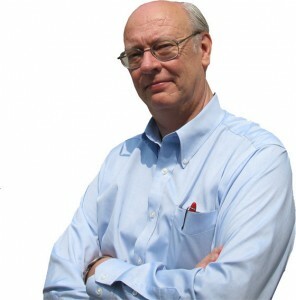 Gary Hoover is the rare combination of a business scholar and practitioner. He began the learning side by studying businesses large and small at the age of 12, and later studying under four Nobel Prize winning economists at the University of Chicago, including Milton Friedman. His practical side led him to be a stock analyst on Wall Street and then a retail executive at Fortune 500 companies until he started his first company in Austin, Texas over 30 years ago. That was BOOKSTOP, the first chain of giant book superstores, later purchased by industry leader Barnes & Noble. Then he went on to found the company that evolved into Hoovers.com, one of the world’s leading company information websites. Hoover’s went public in1999 and is now owned by Dun & Bradstreet. In 2009 he became the first Entrepreneur-in-Residence at the highly ranked McCombs Business School of the University of Texas at Austin, a role he now serves in the same University’s graduate School of Information. He mentors entrepreneurs and speaks to corporate and government leaders worldwide. He recently founded his 6th startup, The Spark, to be Austin’s museum-like innovation experience. Gary lives near Austin in his 56,000-book personal reference library. 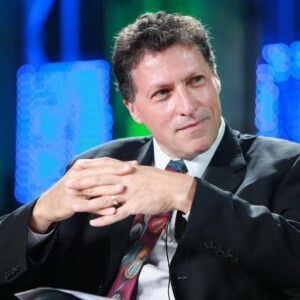 Arnie Weissmann is the Editor-in Chief of Travel Weekly, the travel industry’s leading media platform, and Senior Vice President/Editorial Director of its parent company, Northstar Travel Media, the world’s largest business-to-business media company focused on travel. In 1986, Weissmann founded the travel industry’s first destination information service (Weissmann Reports), which initially licensed information to travel agents, travel suppliers and credit card companies, and subsequently created AOL’s core destination content, ran AT&T’s corporate travel website and licensed web content to Apple, Time, Inc., CNN and Marriott International, among others. He and his investors sold the company to Reed Elsevier in 1997s, where he went on to serve as a group publisher of critical hotel and destination guides in the U.S. and U.K. 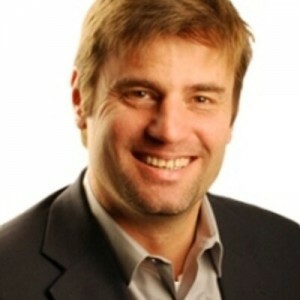 In 1999, he took on the role of senior advisor for business development with Northstar (Reed’s successor company) and in October 2001 was appointed editor in chief of Travel Weekly, which has thrived digitally, in print and with a growing number of events during a period when many media and news platforms have been severely challenged. Arnie is a regular contributor to the PBS show The Travel Detective and his comments have appeared on NBC, CNN, BBC and NPR. He has also been quoted in the Wall Street Journal, the New York Times, USA Today and FastCompany, among other media outlets. He sits on board of the travel industry nonprofit Tourism Cares and has been a guest lecturer at Cornell University School of Hotel Administration. He lives in New York City with his wife and three children. 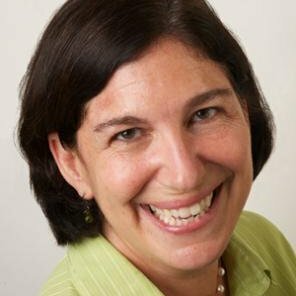 Temp Keller is an education entrepreneur working to build high quality, highly accessible K-12 education models for 21st century learners. He is the Co-founder and President of Templeton Learning, LLC, a 21st century learning company that currently has two active, operating investments: WonderLab (www.wonderlablearning.com), a supplemental learning lab based in Austin, TX, of which Temp is President, and Blyth-Templeton Academy (www.blythtempleton.org), a quality, affordable private school in Washington, D.C.
WonderLab is a student-led, project-based curriculum that helps students discover their big ideas and turn them into reality. WonderLab Learning Quests guide learners to identify and articulate their individual gifts, passions and opportunities, provides tools to build projects and portfolios around their ideas, and encourages sharing and defending the results. Temp in 2012 was an Entrepreneur in Residence at the Acton Academy (www.actonacademy.org), a private elementary and middle school in Austin, TX that aims to move learners (teachers and students) from receivers of knowledge to self-seekers of knowledge. 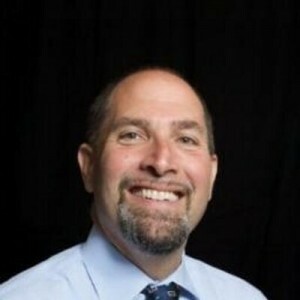 He is the former Managing Director of Innovations for Learning (www.innovationsforlearning.org), a Chicago-based nonprofit organization formed in 1993 to develop innovative technology to improve early elementary education. He is also the Founder, former President and Chairman of Resources for Indispensable Schools and Educators (www.risenetwork.org), a national nonprofit organization working to connect second-stage teachers with schools in low-income communities, improving student learning for more than 50,000 students. Prior to RISE, he taught fifth grade at the East Palo Alto Charter School (www.epacs.org) in East Palo Alto, CA. Temp was awarded the Ashoka Fellowship (www.ashoka.org) in 2004 — one of 125 social entrepreneurs in the United States selected to join a community of over 2,000 Fellows world-wide “recognized for innovative, entrepreneurial solutions to some of the world’s most pressing social problems” — as well as the Manhattan Institute’s Social Entrepreneurship Award in 2005. He serves on several for-profit and non-profit Boards, including TK Capital, LLC, a family investment company focused on operating small cap, U.S. based manufacturing firms, as well as Kids Science Labs, a learning center providing hands-on science classes and camps to kids ages 2-12. He is a Trustee of the Loomis Chaffee School in Windsor, CT, Austin Achieve Charter School, and also serves on the U.S.-based Foundation Board of the African Leadership Academy, a pan-African secondary institution that aims to educate and develop outstanding students into principled, ethical leaders for the African continent. He received his B.A. in Politics from Princeton University and his Masters in Business Administration from The University of Chicago. Temp, his wife Kerry and two young children live in Austin. The Spark expects to draw upon a broad range of resources and individuals, creating multiple councils. The following individuals have already made substantial contributions to The Spark by studying other tourist attractions, attending industry conventions, doing research, and brainstorming ideas for The Spark. We anticipate attracting more talent to our councils in the future. John Arlotta is a veteran marketer and merchandiser, with successful track records at Orvis and Harry & David (Bear Creek Corporation). He has played a key role in the development of Dylan’s Candy Bar stores, the Pez visitor center, and McCormick’s World of Flavors brand store in Baltimore. Mr. Arlotta has extensive global experience in store design, merchandise selection, and marketing online, through the mail, and via traditional media. He was the Chief Marketing Officer on the RoadStory project. He lives in Austin, Texas. Glenn Astolfi likes to read, think about, discuss and implement BIG ideas that intend to transform the world. As a life-long entrepreneur with success across diverse industries including travel, financial services, bricks and mortar and online retailing Glenn has experience as a leader and senior executive with an extensive background in finance and a deep, practical knowledge of all functional areas of a company. His approach to business includes System Thinking and Integral philosophy. Glenn’s current business roles are as CEO of DNJ/Gateway Bank Mortgage, COO of Tryon Title Agency, Co-Owner of Brewing Tools and Principal at Arete Ventures. He worked with Gary Hoover at Bookstop and was a co-founder of TravelFest Superstores. He was on the startup team (employee #6) and stayed through the IPO at Barnes and Noble Superstores. He was an Intrapreneur at Travelocity.com. Glenn and his family live in the Raleigh, NC, area. 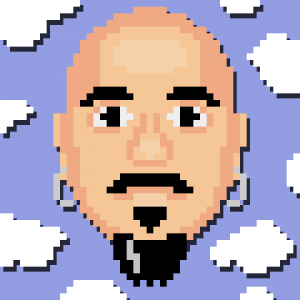 Zeke Brill is founder and principal of Globotix Industries, an Austin-based creative technology studio focused on games, interactive entertainment, and physical computing. Zeke’s expertise is in engaging users with brands through interactive entertainment. 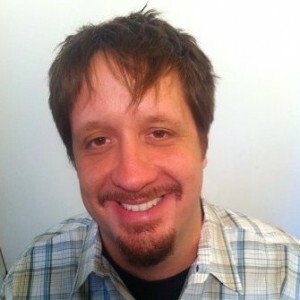 He has designed and developed branded games for companies such as IBM, Viacom, Xerox, and Purina. As a slot machine designer and prototype developer for International Game Technology, he co-authored several gaming related patents. As a User Experience (UX) consultant, Zeke helped Amazon and Microsoft develop interfaces for a variety of products in broad use today. The Austin Chronicle featured Chenoweth on the cover of the November 15, 2013 issue for the celebrated annual event she hosts as part of the East Austin Studio Tour. She curates a group show at her studio and home for the East Austin Studio Tour since its inception in 2003, hosting thousands of visitors. She was honored as the Featured Artist for the Umlauf Garden Party in 2013, and gave an “Insights” talk at the Umlauf Sculpture Garden and Museum. Her art is in the Public Collection at the Houston Hobby Airport and she has shown extensively in Austin, San Antonio, Kansas City, and at art fairs in London, Miami, New York, and Santa Fe. Using community input to map emotional experiences of residents of Austin, Chenoweth created a mixed-media installation called the “XYZ Atlas: the Hedonic Map of Austin”, which she exhibited at Co-Lab Projects in 2013 and at The University of Texas at Austin’s Department of Psychology in 2014, and will culminate in an exhibition at the high point of collective experience, Zilker Park in May of 2016. Chenoweth is on a team with the City of Austin, Go Collaborative, Austin Creative Alliance, and Public City as a recipient for a national ArtPlace grant, “Drawing Lines”. In 2010, she founded a nonprofit, GenerousArt.org, to empower artists and sustain community, teaching professional development workshops, and by producing fundraisers and exhibitions. Chenoweth served as a panelist for the City of Austin’s Art in Public Places and served as Design Team Artist for the East 7th Street Corridor Project, advising for the African-American Cultural Center and the new Central Library. She has received honors for her work from the City of Austin and Giving City. She currently serves as the Vice Chair of the Arts Commission, appointed from District 3 to help advocate for creatives in Austin. 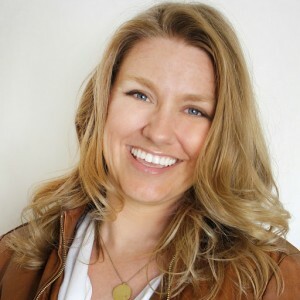 Amanda Dewoody is an independent consultant with 13+ years experience in the healthcare industry working on projects ranging from EMR implementations to political lobbying. She is particularly interested in innovative healthcare delivery models that eliminate middlemen to increase quality, customer service and accessibility while reducing cost. Amanda has collaborated with medical facilities ranging from the University of Kansas Hospital to small physician-owned practices. Currently Amanda is splitting her time between Sapling Data, an Austin based software development firm, and a small coaching practice. Amanda has served as the VP of PR for Austin Toastmasters, led the Kansas chapter of Campaign for Liberty, served in AmeriCorps, and organized events for 1800+ Austin entrepreneurs. She is a graduate of the University of Kansas and Coaches Training Institute. Douglas Ferguson is the head of technology at Twyla, a technology company expanding the art market. Prior to joining Twyla Douglas was CTO of Famigo, a mobile platform for Families. 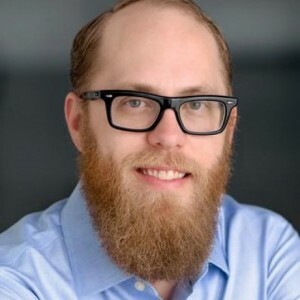 Douglas is active in the Austin startup community where he serves on the board of several non-profits, software mentor and is an advisor to several early stage ventures. Prior to Famigo, he held leadership roles at BuzzStream, Escalation Point, and Story Stores. He is a graduate of the Virginia Institute of Technology, is an accomplished musician, and lives in Austin. Russ is a technologist, artist, philosopher, business renegade and all around tinkerer. He currently is producing a series of art and philosophy works presented in various mediums (www.worksonbecoming), advising education tech start ups and angel investing in maker/sharing economy projects. In his most recent previous engagement Russ was the GM and SVP, Data Products at TrueCar. He oversaw the creation and operation of the data platform, the industry’s leading automotive marketplace intelligence system. Prior to TrueCar Russ held product, business and technical leadership positions focused on large scale search and computational platforms at Wolfram Alpha, InteractiveCorp/IAC, Grind Networks and Business.com. He has launched several startups and helped venture firms evaluate new technologies and startups. Russ lives in Marina del Rey, CA with his wife and two daughters where they have started an alternative school for 1st - 12th grade called Acton Academy Venice Beach, off shoot of the original Acton Academy in Austin, TX. 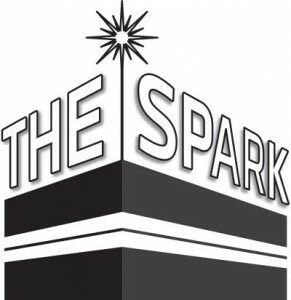 Ismael "Izzy" Flores is a board member of the ATX STEM Park serving as a liaison among this robot-centric non-profit, others in the local area, and now The Spark. Having presented to Michael Dell and his executive associates, IBM, and Skillpoint Alliance about this project and served as a panelist at a summit for K-12 education, Mr. Flores offers a student’s perspective on integrative robotics curricula. As a high school robotics team member for four years, he is very familiar with the FIRST Robotics organization and, with this insight, advocates for the spirit of spectator sports throughout the tech community at large. He was a member of the team from the Austin Liberal Arts and Sciences Academy which came in second in the FIRST Robotics World Competition in St. Louis. Lynne Perry Kincaid is a creative marketing consultant with over 16 years as an independent freelance professional in digital, traditional marketing, advertising and professional event production. In addition to producing post-graduate CME programs, Ms. Kincaid has produced B2C and B2B websites, and created social, digital and traditional marketing campaigns for medical, retail and B2B companies throughout the US as a contributor to Arlotta Multichannel Marketing & Brand Theater projects. 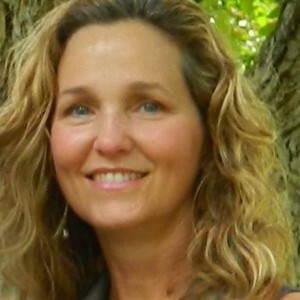 Lynne currently is marketing specialist for Catalyst Consulting, a medical consulting firm in Austin. Ms. Kincaid has also served her community. Successfully leading the revitalization of a farmers market in a historic downtown; an active school and civic volunteer; and professional liaison for the city and historic district businesses. Ms. Kincaid is the mother of two, who have visited many museums. 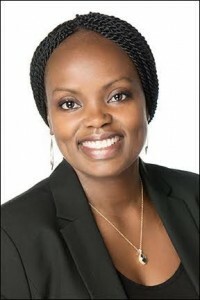 Leticia "Tish" Kinuthia is an IT Professional with extensive experience in Information Security spanning over 15 years. Her roles include leadership in Security Architecture, Consulting, Audits and Compliance, Project Management, Vulnerability Assessment and ISMS (Information Security Management System) implementation, in Government, Financial services, Telecom. Tish earned her Masters of Science in Information Security from Royal Holloway University of London, UK. With her hands-on experience she has helped NIC Inc. (private company behind the brand Texas.gov), Primus Networks (now MindShift) and SecureData Europe, execute on their vision from a Security perspective in alignment with their business needs and objectives. She volunteered as an adviser for an industry-sponsored project for MS IT Audit and Security students at the McCombs School of Business, University of Texas at Austin. Tish mentored the students focusing on the real-world challenges and opportunities faced by professionals in the security industry, resulting in the successful formal presentation of their project reports. 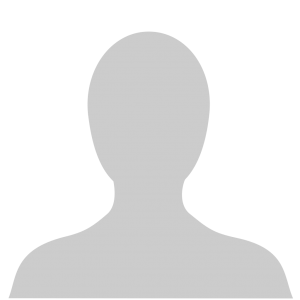 Tish is an active member of the local ISSA, OWASP chapters and holds the following certifications: CISSP-ISSAP, ITIL, and CSPO. She is married with two children and lives in Austin, Texas. Adam Lipman has a diverse background that spans multiple industries. He spent over a decade with Genentech of the world’s largest biotech companies as both a technologist and a leader of a global team. He spent several years leading a team responsible for corporate learning and development where he developed a passion for integrating technology and adult learning theory. He spent three years as Chief Operating Officer for Chaotic Moon Studios helping drive their explosive growth which ultimately led to acquisition by Accenture. While there he led this game changing software development company to new heights and helped shape the digital presence of many of the world’s leading brands. 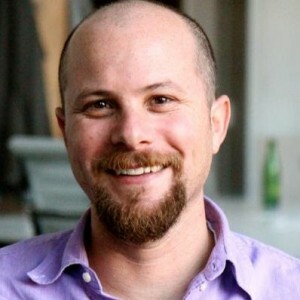 Currently Adam is the CEO of Thought leader, a publisher focused native advertising software platform. Thoughtleadr is focused on providing the technology to ensure content creators can monetize effectively without annoying their audience ensuring their ability to continue to create great content. Adam holds a BS in Molecular Biology and an MBA from UC Davis. 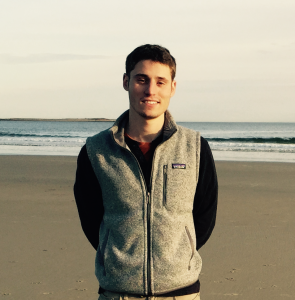 Nathanial “Nate” Lurie is currently a graduate student in economics at the University of Texas at Austin. After graduating from Brandeis University in 2013, he became a research assistant to a behavioral economist at Harvard. He later worked at ideas42, a non-profit that solves fundamental human and institutional problems using insights from behavioral economics. After experiencing the theoretical and applied sides of economics research, he realized that his real passion was making an impact through markets themselves. He went to work as an analyst in SAP’s Corporate Strategy Group, where he modeled the disruption course of enterprise cloud technologies. 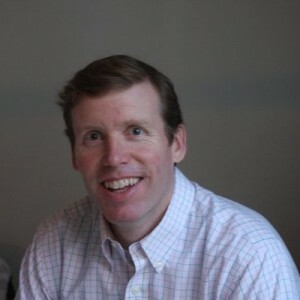 Nate has been an engaged member of the innovation sectors in Austin, New York City, and Boston. 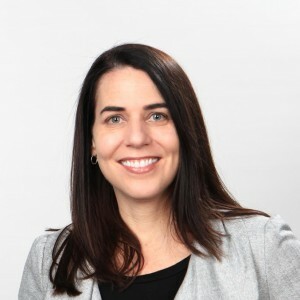 Mary Maltbie was the Chief Administrative and Development Officer on the RoadStory project, and today serves as the Chief Executive Officer of Enspire Learning, one of Austin’s leading educational technology companies. Ms. Maltbie has extensive experience in educational design, textbook and exhibit creation. Robert Matney is the Chief Operating Officer and co-owner of Polycot Associates, an Austin-based, worker-owned web-development and strategy agency. 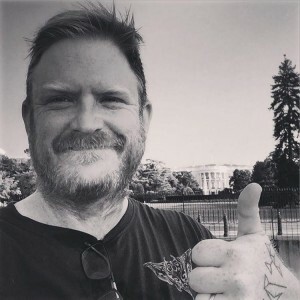 Mr. Matney is also the founder and Director of Technology for Whirligig Productions, and Director of Technology for Hidden Room Theatre, and a Board Trustee of the Austin Shakespeare Festival. Mr. Matney is both an accomplished technologist and frequent speaker about where technology and art connect. 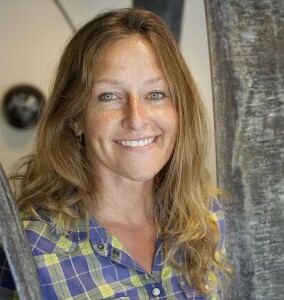 Leslie Wolke is an independent consultant working at the intersection of design and technology. She collaborates with design firms, architecture firms and large institutions to improve how people find their way in complex environments. She is also a writer and frequent speaker about museums and the emerging uses of technology in the public realm. During her 25 years in the technology and design sectors, she has held leadership positions at frogdesign, Hoover’s Online and SBC. She is co-founder of XLab, the annual conference that convenes designers and technologists together to create more immersive, delightful experiences in the public realm.